As a parent, there might be times when you have to see the fear on your child’s face. It could be from going to the doctor or going to school to face a teacher that gives difficult homework. 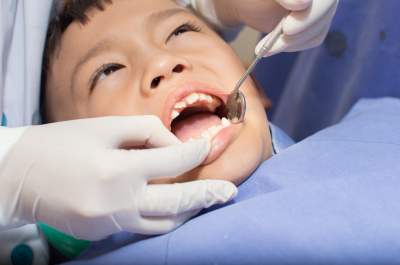 One of the things that you can help your child with is a fear of the dentist. There are a few tips that you can use to help children overcome getting the teeth cleaned while making them feel comfortable in the office so that they have the healthy and beautiful smile that they deserve. The younger that you start taking children to the dentist, the easier it will be to get them acquainted with the staff who will be caring for them through childhood. Most dentists want to see children every six months, so your child will want to feel at home in the office. If there are any suspicions that your child doesn’t like the staff, then consider trying another dentist to see if it was just a personality conflict. Don’t go into too many details about the first visit or if there is a visit where the child will need to get a lot of work done in the mouth, such as a filling. Keep explanations simple, and make sure the child understands that the dentist only wants to make sure the teeth and gums are healthy without causing any harm to the mouth. You can sometimes find a family Brooklyn NY dentist who will see both adults and children. This can give you a way to make an appointment together so that each of you are in the office at the same time. Give a pretend visit so that your child knows a little about what to expect. Brush the teeth and floss them so that the child can see what it’s like for someone to work in the mouth. You can also get a doll, letting the child brush it’s teeth so that the child can do the same things that the dentist will do at the visit. Make sure the child knows of some of the terms that are used by the dentist, such as toothbrush, floss and mouthwash. This entry was posted in Dental care and tagged dental care, how to help ease a child's fear of the dentist, oral care on January 7, 2016 by Yami.